I cannot believe Christmas is less than 2 weeks away!!! Are you ready? We are about 90% finished shopping and will hopefully be wrapping up all the gifts by the end of this week. For my 6th and final Favorite Things Giveaway, I am bringing you the Nutri Ninja Auto-iQ Compact System. This blender has changed my morning routine. 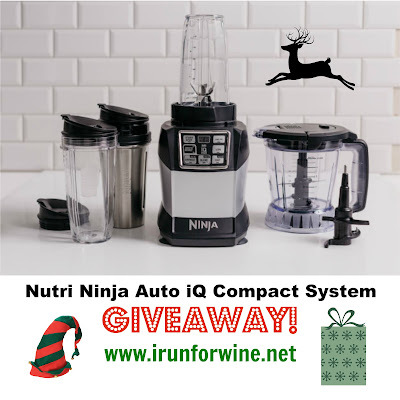 There are many features of the Nutri Ninja Auto-iQ Compact System that I love. One of my favorite features is convenience - it comes with a double-walled stainless steel cup that keeps beverages cooler for up to 4 hours. For those who do morning smoothies and are always on the go - this is your dream come true. Nutri Ninja® Cups can blend whole fruits, vegetables, greens, seeds & stems into nutrient-rich beverages in seconds! 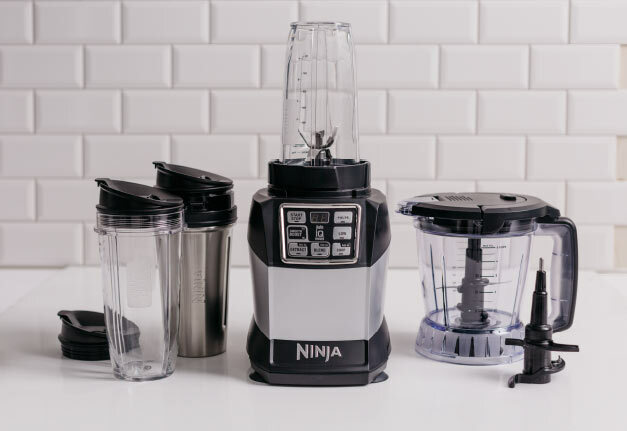 Traditional juicers provide little juice and remove the pulp which contains the healthy fiber, whereas the Nutri Ninja™ Cups provides complete juicing with the benefits of entire fruits and vegetables, not just the juice. These juices are bursting with health-boosting vitamins, minerals, antioxidants, trace elements and plant nutrients! Smooth Boost Technology:Smooth Boost™ Technology is next level Auto-iQ&trade Technology - you can step up your smoothness with high performance blending and nutrient extraction for even smoother texture and consistency. Auto IQ Technology:Auto-iQ™ Technology is One-Touch Intelligence - Programs designed specifically for each jar attachment. These intelligent programs combine unique, timed pulsing, blending and pausing patterns that do the work for you! Great results every time with no guesswork required! The best thing about the Nutri Ninja Auto-iQ Compact System is that it is multiple devices in one. It's a food processor, chopper, grinder, blender and more. The precision processing offers even chopping, smooth purees, and perfect dough consistencies. AND you can purchase a coffee grinder attachment! which is a perfect sidekick for the Ninja Coffee Bar! For my final day of favorite things giveaways, I want to gift one of these amazing machines to one lucky reader. Let me know in the comments below why you want to win this machine? Be sure to log your entry through the Rafflecopter widget and open up additional chances to gain entries. Retail value of the Nutri Ninja Auto-iQ Compact System is $119 and available nationwide. I need more veggies in my diet! I need this so I can eat better & I love my Shakes! I have been wanting to upgrade my Magic Bullet to a more powerful system. I use it for everything, but mostly lately I've been making my own oat flour for baking healthier foods! I definitely need to make healthier meal decisions, and I like the "make and go" functionality of this machine and its containers. This sounds like a super product to try - what's your favorite recipe with it currently? I want to make healthy smoothies everyday! I'd love to have a blender that does such a great job of making "smooth" smoothies. I currently make smoothies with another device but it's just not strong enough. This would help. I use a regular blender for smoothies so i would love to retire that and upgrade. Thanks for the shot. I'd love to start making my own nut butters! I would like to win so I can make my own nut betters in it and puree fruit for preserves. Id like to win this so i can make smoothies in the morning that are not all clumpy for once! I love my green drinks and love how versatile this one is. 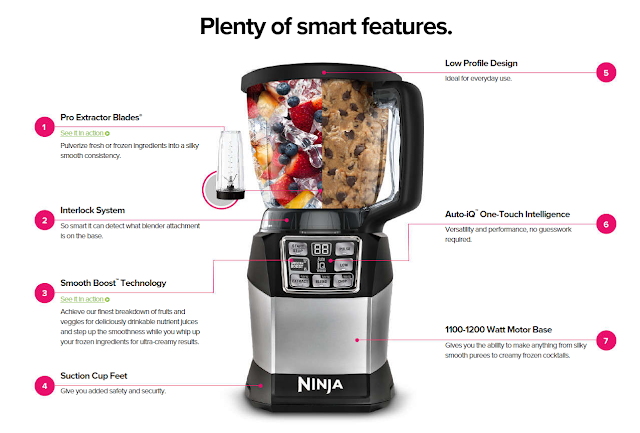 I love to make healthy smoothies, and I hear a lot of good reviews about Ninja. Due to health concerns we recently changed to a new and healthy diet - this would be perfect for our kale, pineapple and flaxseed smoothies. 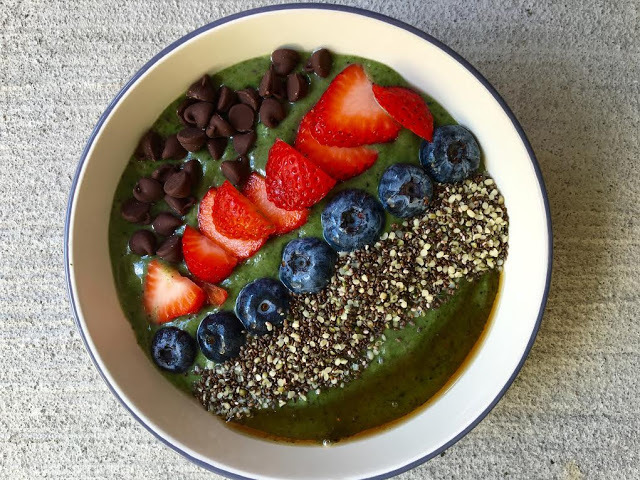 My son and I love smoothies so I would love a better blender to blend up the veggies. I want to win it because I've seen all the things you can do with it and would love to make smoothies and soups in it. I love to win this because I love to make smoothies.